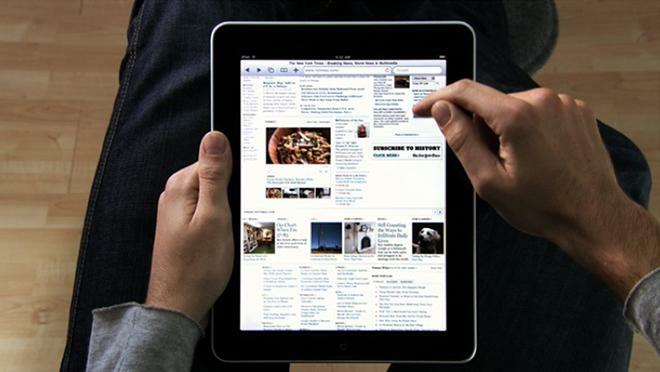 Brazil's Jornal do Comérciao [Google translation via MacMagazine.com.br] reports that the Brazilian Institute of Politics and Law Software (IBDI) has filed suit against the iPad maker, claiming that the company could have, when launching the third-generation "New iPad," implemented all of the technological upgrades it introduced in the fourth-generation model. Apple's failure to do so, the suit alleges, amounts to planned obsolescence and unfair business practices. "Consumers thought [they were] buying high-end equipment," said IBDI attorney Sergio Palomares, "not knowing [it] was already an obsolete version." If Apple is found guilty of unfair business practices, the company could be forced to compensate all Brazilian customers who bought the third-generation iPad. The newest model of iPad debuted in October alongside the iPad mini. The new model was largely acknowledged as an incremental upgrade to the third-gen model, which it replaced after only six months. Following the introduction of the fourth-gen iPad, some Apple Stores began allowing customers to exchange their slightly older models for slightly newer ones, though this was not a nationwide company policy. The newer iPad does offer a faster A6X processor, a FaceTime HD camera, and a port compatible with Apple's new Lightning connector standard. These are the features, the IBDI suit claims, that could have been built into the third-generation model. The IBDI suit isn't Apple's only worry in Latin America's biggest market. The company also faces a struggle over rights to the iPhone brand in the country, having lost the right to the trademark after a court found in favor of Gradiente Electronica, a company that first registered the iPhone trademark in 2000.